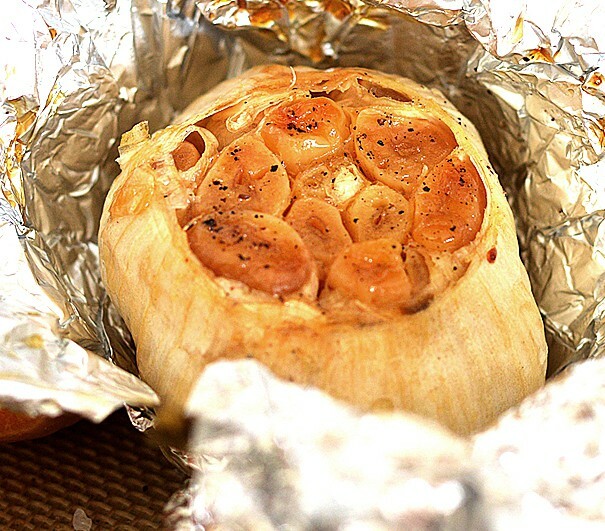 Oven Roasted Garlic is one of those things that most people don’t make at home…but totally should! It’s super simple. The result is a sweet, flavorful treat to add to soups (see our Roasted Winter Squash Soup), add to mashed potatos, mix into any veggie burger before cooking, make garlic butter, add to gravies (like our Vegan Gravy), add it to hummus, pesto or my personal favorite, spread onto warm, toasted crostini with a drizzle of extra virgin olive oil and freshly cracked black pepper! 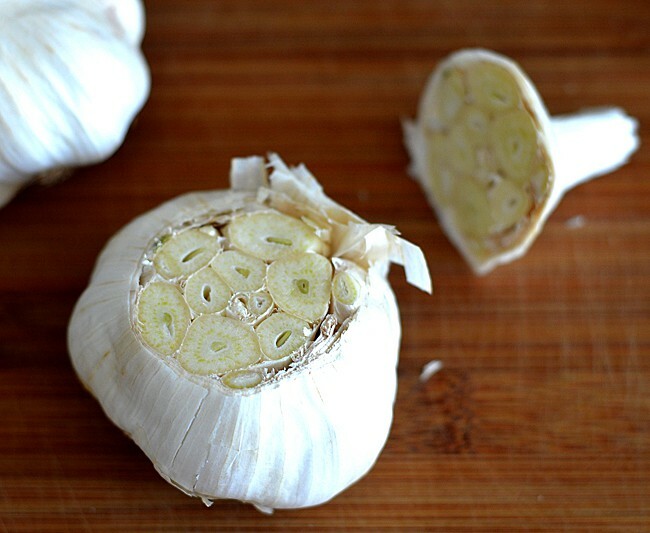 The first thing you’ll want to do is pick a nice tight head of garlic. They are usually really inexpensive. I got mine for 50 cents! Slice off just the very top of the head to expose the cloves. You don’t need to take off too much here. Or, you can make your own. First, lay down a piece of foil (dull side up) and top it with the same-sized sheet of parchment. 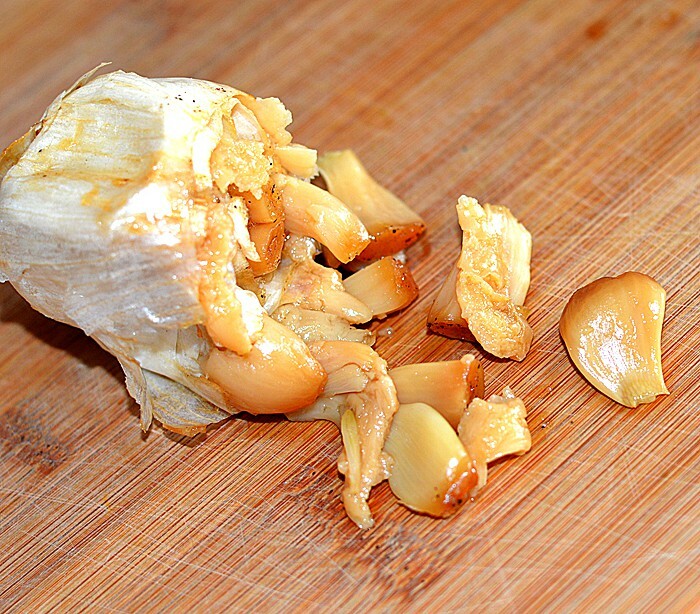 Bring both papers up around the clove of garlic, making sure it stays cut side up. Twist the ends so it stands up straight and it’s closed tightly. Roast at 350 for an hour or so. 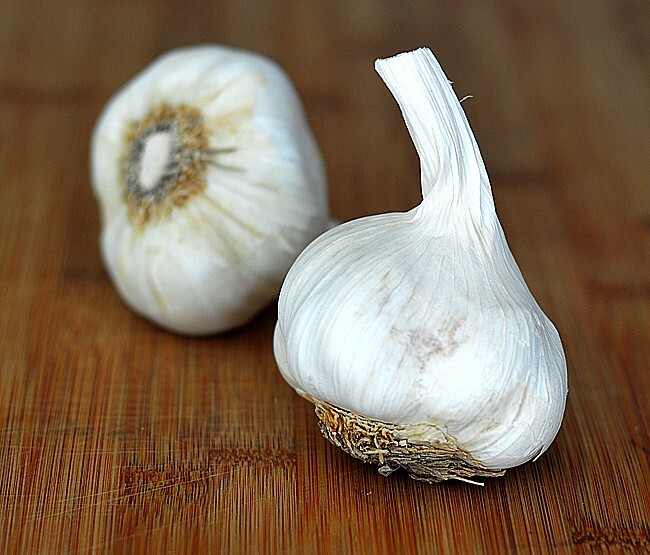 The cloves should be caramelized and very tender. Check at one hour, if they don’t look like this, keep roasting for another 20 minutes. Allow to cool. 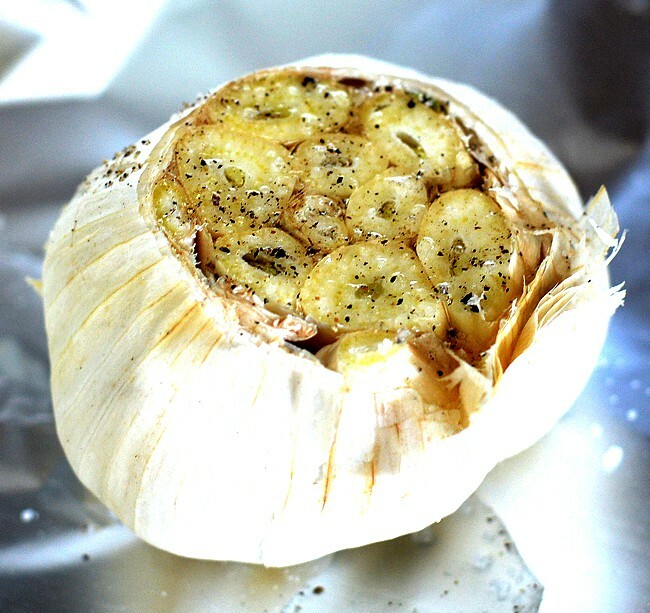 I love garlic, especially roasted garlic. I could seriously eat the entire head by myself but I don’t, only to spare my husband 😀 great step by step instructions! This is such a clever idea! I can’t believe I haven’t thought about it before. Thank you for this suggestion. Well forget soaking a clay baker! So easy to just roast, thanks for the idea.